Your new and potential clients will have something useful to hold onto when you advertise on this 16 Oz. Mesa Perk Ceramic Mug! 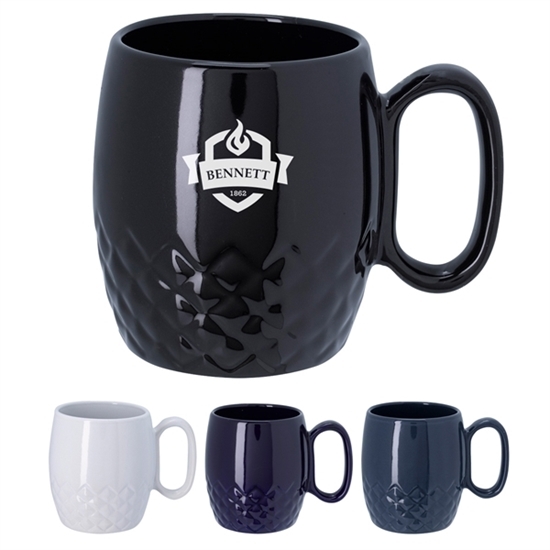 This mug is available in four bold product colors that are sure to support an eye-catching custom imprint of your company's name, logo or marketing message. Give it away at business meetings, conferences, expos and more. Hand wash is recommended and it meets FDA requirements. They'll love waking up to your brand daily!